While sporting one of the smallest land masses in Africa, Malawi comes in number two in the production of tea. Only Kenya, with a land mass nearly five times as big, produces more tea. 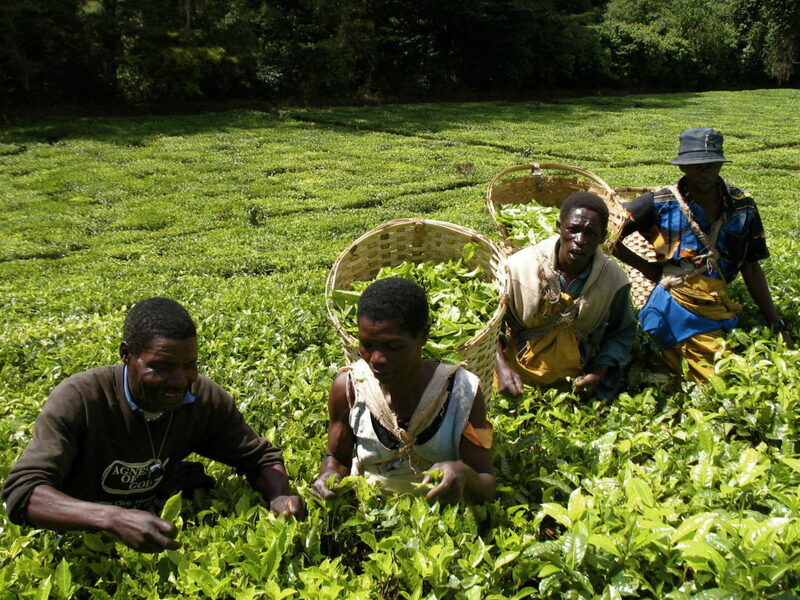 Malawi’s tea industry dates back to its meager beginning in 1878. It blossomed in 1891 with the coming of Henry Brown a Scottish farmer. The British had designated the area British Central Africa Protectorate, and Brown had suffered catastrophic crop losses in Sri Lanka, so along with Scottish missionaries, and British and Portuguese settlers Brown put down roots in this new land. In 1907 Britain renamed the area Nyasaland, and this name remained until it gained independence in 1964 and took the name Malawi. Through the over 100-year period, Malawi’s tea industry grew, though not through local ownership. Malawi has 44 tea estates, all owned by 11 international companies. In spite of its importance to the nation, and the fact Malawi tea is among the finest in the world, foreign ownership and control leaves a bitter taste in the mouths of some Malawians. During the peak season, 50,000 local workers are employed in low paying jobs. However, during the dry season, that figure drops to nearly half. This leaves thousands of workers to find alternative employment in a nation with a current 50.7% of its population living under the poverty level. Malawi is the 151st largest exporter in the world, with total exports of $869 million in 2017, and imports at a staggering $144 billion, signaling an imbalance of $572 million. Top exports are tobacco, tea, sugar, and nuts. There is very little manufacturing in the country, and approximately 80 to 85% of the population survives through subsistence farming. Nations that import Malawi goods include South Africa ($411 m), China ($261 m), India ($217 m), and Zambia ($99 m). Top export destinations are Belgium ($196 m), Germany ($104 m), Russia ($65 m), U.S. ($62.4 m), and South Africa ($59.4 m).